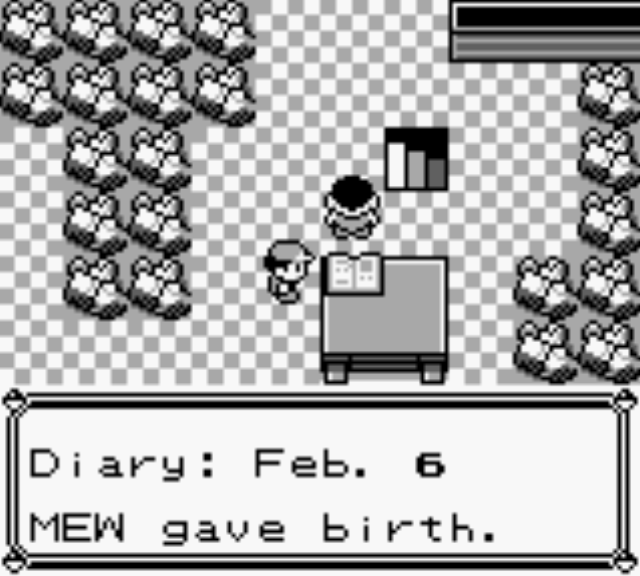 The 6th of February is known in the Pokémon fandom as the birth date of Mewtwo, going by in-game diary entries in Pokémon Mansion on Cinnabar Island. Happy birthday, Mewtwo! However, the most recent remakes of the original Kanto games, Pokémon Let’s Go Pikachu and Eevee (LGPE), changed the wording of that diary entry, as seen above. Rather than the poetic “Mew gave birth” line, we have the more professional, yet more boring, line of “We obtained a new Pokémon from Mew”. Clearly there’s some inconsistency here. Let’s take a look at the differences across the games and animation on Mewtwo’s origins! In the original games (Pokémon Red, Blue and Yellow), we get diary entries that discuss the discovering of Mew in the South American jungle. 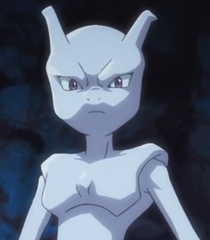 It is implied that Mewtwo comes from an embryo of Mew, which has been tampered with, from the birth line. (After all, cloning in real life requires an embryo.) That said, it’s not stated outright, and could have been merely a poetic way to put its creation from extracting, and tampering with, Mew’s DNA. It’s also worth noting that these entries have a more first-person perspective in their Japanese entries. A new Pokémon was discovered deep in the jungle. We christened the newly discovered Pokémon, Mew. We named the newborn Mewtwo. We discovered a new Pokémon deep in the jungle. We christened the newly discovered Pokémon ‘Mew’. We obtained a new Pokémon from Mew. We have named this new Pokémon “Mewtwo”. The removal of the reference to South America is certainly interesting as well. While we know that Pokémon regions are based on real-world regions and countries, the location of Mew has been removed entirely beyond a “jungle”. As for the ‘obtained’ line, it sounds a bit awkward and vague – maybe “created” would have worked better? Again though, there is no detail on Mew here. There are differences in the Japanese and English versions of the first Pokémon movie. However, a radio drama made in Japanese gave extra background information as to Mewtwo’s origin. Luckily, some dedicated fans have translated this rather rare piece of merchandise. There is also a movie short that was cut from the English release, which gives a shortened version. Give it a watch below! Excavator 1: Woah…what the devil is that? Sakaki: (Narrating) That was a fossil, less then one centimeter in length. Excavator 2: It’s pretty shiny for a fossil. Dr. Fuji: My name is Doctor Fuji. Dr. Fuji. That fossil was secretly taken to my secret laboratory in New Island. Computer: (Inside New Island laboratory) Analysis result: It is a fossil of an eyebrow of some sort of Pokemon. The Pokemon species is unknown. But when we vocalize what we can from the DNA…(electronic voice) Myuu. Myuu. Myuu. Myuu. Dr. Fuji: Myuu? What’s that? Computer: There is one record in history. Computer: It is the voice of a phantom Pokemon said to originate in the jungles of South America…(Electronic voice) Myuu… Myuu. Dr. Fuji: The phantom Pokemon, Myuu? Sakaki: (Appears in the laboratory) Myuu, hmm? Can you recreate the phantom Myuu from the analysis of that fossil? Dr. Fuji: Mr. Sakaki. If I am asked, “Can you do it?” I will answer, I have succeeded with other Pokemon. (Starts pun-like song) If I make a copy of a Pokemon with its genes, then Poke – Poke mon-mon, we have got ourselves two Pokemon. Dr. Fuji: (A waterdrop is heard) One month after that…Myuutsuu was born, based on the genes taken from Myuu’s eyelash. This short gives a different perspective to how Mewtwo was cast in the first film. While South America was still named, the eyelash detail is pretty explicit on what Mewtwo was made from – and hence how, even though Fuji himself says that Mewtwo (Myuutsuu) was ‘born’, based on the Mew genes from its eyelash. Origins also removes any mention of birth in its fourth episode, opting for a more confusing ‘from the potential within Mew’ statement. Earlier entries are also without the South America reference, but on the other hand has a bit more detail on the jungle adventure. Today, while on our journey through the densest part of the jungle, we were surprised to discover a new Pokémon. We decided to name the recently discovered Pokémon Mew. From the potential within Mew, we have managed to create an entirely new Pokémon: Mewtwo. 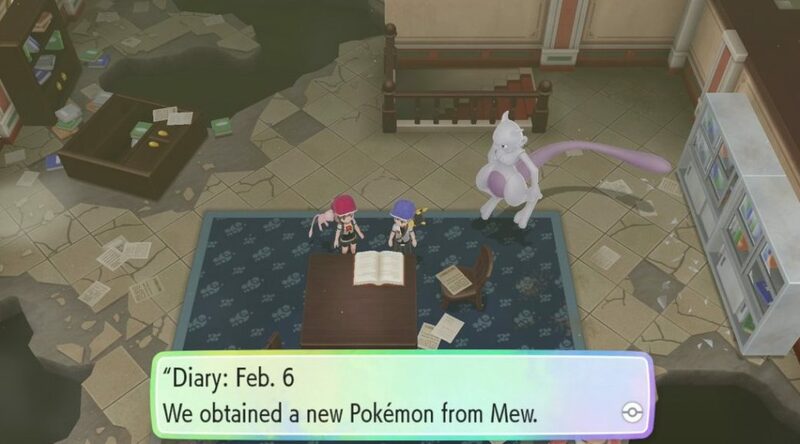 What do you make of the evolution of these diary entries across the years, and the differences in what we are told about Mewtwo’s origin? Maybe it’s best to just have a cake in respect for the cloned Pokémon and its date of birth or creation, or even obtainment. Thanks to Rika for the video source link, Erik for article idea planning, and Rivvon for additional information. Edited by Aldo and Janna.